I’m on like a 40-article streak of writing about vaccines. Each day, I have plans to write about something else, but like Al Pacino said in the Godfather, “just when I thought I was out, they pull me back in.” And debunking another anti-vaccine myth pulls me back in, and my seminal article on whether Sasquatch exists has to wait for another time. Sorry kids. Seriously, the “too many, too soon” trope pushed by the anti-vaccine religion is one of the most annoying in the discussions about vaccines. What they mean is that we give children too many vaccines too early in life, and that causes all kinds of harm. Per usual, the anti-vaccine religion lacks any robust scientific evidence supporting this claim, but you know those guys – there’s no trope, myth, or meme that they won’t employ, irrespective of evidence, to push lies about vaccines. So let’s take a look at this old, but never boring, anti-vaccine myth in light of a recently published, powerful study that provides more evidence that this particular myth doesn’t hold any water. This anti-vaccine myth may not be the #1 on the top 10 list of anti-vaccine nonsense, but it’s got to be in the top 3. It’s so pervasive that many parents who actually vaccinate their children delay vaccines because they think that, as a result of the increase in the number of vaccines on the market, their children might be harmed by it. Basically, this pseudoscientific belief states that all of these new and old vaccines inundate the presumably weak and pathetic immune system of children. Of course, once you overwhelm the baby’s immune system, it leads to a whole host of problems, including autism, autoimmune diseases, deaths, and whatever else that strikes the fancy of the anti-vaccine cargo cult science. Naturally, none of these claims are supported by, well, anything. Of course, that pseudoscience flows easily into another one (once you buy into one, you’ll buy into another) – vaccinated children are less healthy than unvaccinated children. You can assume that most of the evidence supporting this nonsense is based on anecdotes which are repeated over the internet and really bad science like phone surveys. Yes, that powerful scientific methodology of phone surveys – I wonder where that fits on the hierarchy of biomedical research. The whole “too many, too soon” myth is actually the basis of an oft-repeated trope about Dr. Paul Offit, which states that Dr. Offit said that you could inject a child with 10,000 vaccines, and they will not be harmed. Dr. Offit would never say that because injecting 10,000 vaccines is dangerous, not because of any of the vaccine’s ingredients, except for the water – that would be equivalent to 10 liters of water, which would kill anyone, including an adult, as a result of water intoxication. What Dr. Offit was trying to state was that 10,000 different antigens are nothing to the baby’s immune system. We think of the immune system as so pathetically incompetent that a stiff breeze will knock it down. In fact, a baby encounters millions of different antigens in the environment every single day. And their immune systems are perfectly capable of handling not only those millions of antigens but also the 150-204 antigens in childhood vaccine schedule today. Thus, I (and many others) contend that there is just no biological plausibility that these many vaccine antigens would have any effect on the child. Short of inventing some magical effect on the adaptive immune system, vaccine antigens cannot suppress, damage, or affect that system. Well, except for inducing an immune response that will attack vaccine-preventable pathogens. The casual reader might be convinced by the “too many too soon” anti-vaccine myth because it sounds fairly reasonable. That’s why even rational pro-vaccine parents think that delaying vaccines for months or years is a wise and safe decision. The problem with this thinking is that it is not supported by any scientific data of any note, while the evidence supporting the current vaccine schedule is pretty much solid. The Centers for Disease Control and Prevention (CDC), the World Health Organization (WHO), and dozens of national public health organizations have boatloads of evidence supporting the current vaccine schedules (which has some variance as some countries recommend some vaccines that other countries don’t). We already have studies that show that the vaccine schedule is not linked to conditions like autism spectrum disorders (ASD). A 2013 study published in the Journal of Pediatrics concluded that “increasing exposure to antibody-stimulating proteins and polysaccharides in vaccines during the first 2 years of life was not related to the risk of developing an ASD.” In other words, “too many, too soon” has nothing to do with autism. But we already knew that vaccines were not causally linked to autism. Because there will never be enough evidence to convince some people that this particular anti-vaccine myth is bogus, scientists continue to expend resources to keep showing the same point – that “too many, too soon” is just plain nonsense. In a study by Jason M Glanz et al., published in JAMA in March 2018, real science once again debunks this deceptive myth. Because it is what I do, let’s give you the highlights of this study, just because I know you all need a quick set of bullet points to contradict the “too many, too soon” vaccines myth. I always hate crunching down a huge scientific study into a few paragraphs. But I think my obligation is to describe an important study like this in a manner that it can be quickly understood by those who need to embrace the fact that vaccines are very safe. This is a groundbreaking study that destroys an anti-vaccine myth that is part of the fundamental arguments of vaccine denial. The study was funded by the CDC, one of the premier and independent public health organizations in the world. Of course, there are ridiculous conspiracy theories about the CDC that aren’t worthy of discussion, but the vast majority of readers will reject these nonsensical conspiracies. The purpose of the nested case-control study was to measure the risk non-vaccine preventable infection rates in relationship to the number of vaccine antigens received. This goes to the anti-vaccine myth that somehow all these vaccines make children more susceptible to diseases. 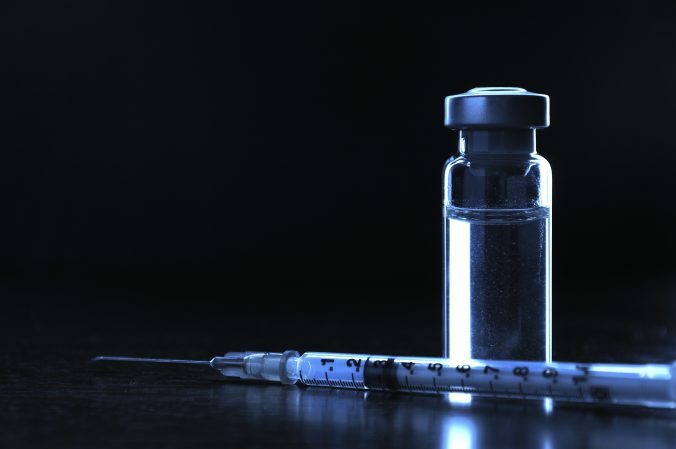 The data was taken from the Vaccine Safety Datalink (VSD), one of the active vaccine surveillance systems in the USA that monitors adverse effects. This is a powerful system heads and shoulders above VAERS, the Vaccine Adverse Event Reporting System, which is a passive system that is essentially an anecdotal system that is regularly abused by the anti-vaccine crowd through dumpster diving through the data. Essentially, they compared children aged from 24-47 months who had an emergency department or inpatient visits for non-vaccine preventable infections compared to those who didn’t. They then examined cumulative exposure to vaccine antigens, which they estimated by adding up the number of antigens in each vaccine dose from birth through 23 months of age. The researchers then determined if there was an increased risk of these infections in 10 groups of a total number of vaccine antigens (including 0). Well, to sum it up with extreme brevity, nothing. There simply was no statistically significant correlation between increasing exposure to vaccine antigens and increased risk of non-vaccine preventable infections. In this first graph (labeled Figure 2), the researchers divided the patients into 10 groups of increasing number of accumulated vaccine antigens, and none of them showed a statistically significant risk of a non-vaccine preventable infection over non vaccinated individuals. In this second graph (labeled Figure 3), the researchers examined the risk for non-vaccine preventable infections by maximum vaccine antigen exposure in a single day. Again, there was no increased risk of non-vaccine preventable infections. And please, don’t “eyeball” these graphs and tell me that it “appears” that some or many of the average risks were greater than 1.0 (meaning some amount of risk). That’s not how you do statistics, and if you’re going to “eyeball” it, look at the huge error bars. Why do I even have to explain this? Oh right, because the anti-vaccine zealots use some other version of math not used by science. I know there’s an old adage that science can’t “prove a negative” (setting aside the whole point that science “proves” nothing). But in this case, the study provides evidence supporting the negative – increasing the number of vaccine antigens has no effect on the health of children, at least for these non-vaccine preventable infections. Among children from 24 through 47 months of age with emergency department and inpatient visits for infectious diseases not targeted by vaccines, compared with children without such visits, there was no significant difference in estimated cumulative vaccine antigen exposure through the first 23 months of life. In other words, chances of contracting a non-vaccine preventable infection are not influenced by the number of vaccine antigens received by the child. The present study provides further reassurance to parents that the US childhood vaccination schedule is safe in terms of not being associated with an increased risk of non–vaccine targeted infections, yet the small but vocal minority of anti-vaccine groups may not be satisfied by the evidence provided through VSD and other vaccine safety surveillance. For example, insistence by such groups that vaccines cause autism persists, despite overwhelming science to the contrary. Although the VSD and other mechanisms, such as the Post-Licensure Immunization Safety Monitoring system, must continue to study the scientific questions, closer attention must also be paid to fulfilling the VSD’s second purpose of strengthening the public’s confidence in vaccines. Simply providing scientific information and assuming parents will make the decision to vaccinate is not enough. Delivering evidence-based information to parents and clinicians in ways that inspire confidence in the robust and safe childhood immunization schedule is critical for maintaining the health of children. I’ve been debunking false claims about vaccines for nearly 20 years, back before the internet became a commonly used cesspool of pseudoscience and quackery. But myths persist. The volume of evidence that vaccines are unrelated to autism is figuratively mountainous. Yet there is a stubborn group of people who, despite the science, cannot be moved off of their strongly held beliefs. And here we have robust evidence that the childhood immunization schedule in the US does not make children unhealthier. Yet, we all know, despite this powerful study that looked at the data with a microscope in numerous different ways, the “too many, too soon” anti-vaccine myth will persist through the internet. The consequence of this belief is uncomplicated – children will be put at risk for vaccine-preventable diseases, most are dangerous and life-altering. Some of you might think that I’m hitting my head against a wall by pushing these scientific studies, because those who are convinced about the safety and effectiveness about vaccines really don’t need to hear what I write, and those that deny vaccines won’t listen. But we have to keep going because maybe we convince one person on the fence to vaccinate their children. … it’s important to inoculate (if you’ll excuse the term) those who might be susceptible to the antivaccine message against the misinformation and pseudoscience that drive the antivaccine movement. I like that. We’re here to “inoculate” against ignorance about vaccines. Not everyone will accept that inoculation, but maybe one person will be. Maybe another. And then another. We have children to protect, so we’ll keep at it. Glanz JM, Newcomer SR, Daley MF, DeStefano F, Groom HC, Jackson ML, Lewin BJ, McCarthy NL, McClure DL, Narwaney KJ, Nordin JD, Zerbo O. Association Between Estimated Cumulative Vaccine Antigen Exposure Through the First 23 Months of Life and Non-Vaccine-Targeted Infections From 24 Through 47 Months of Age. JAMA. 2018 Mar 6;319(9):906-913. doi: 10.1001/jama.2018.0708. PubMed PMID: 29509866. O’Leary ST, Maldonado YA. Safety of Multiple Antigen Exposure in the Childhood Immunization Schedule. JAMA. 2018 Mar 6;319(9):870-871. doi: 10.1001/jama.2018.0891. PubMed PMID: 29509849.